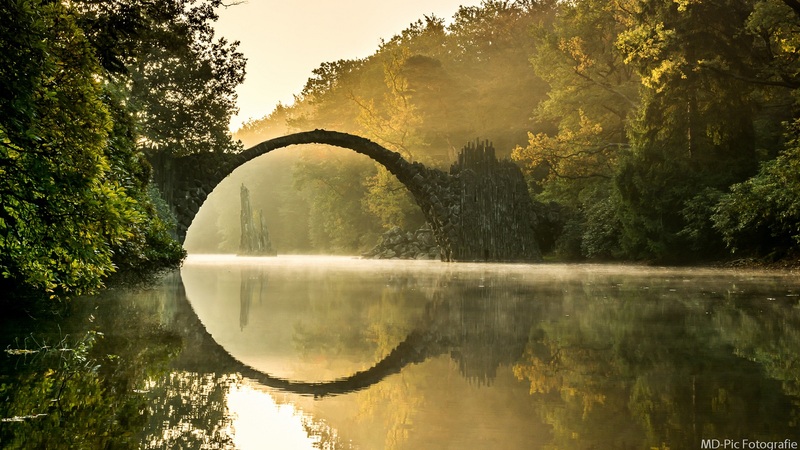 The Devil’s Bridge (Rakotzbrücke) was built almost 150 years ago, back in 1860. 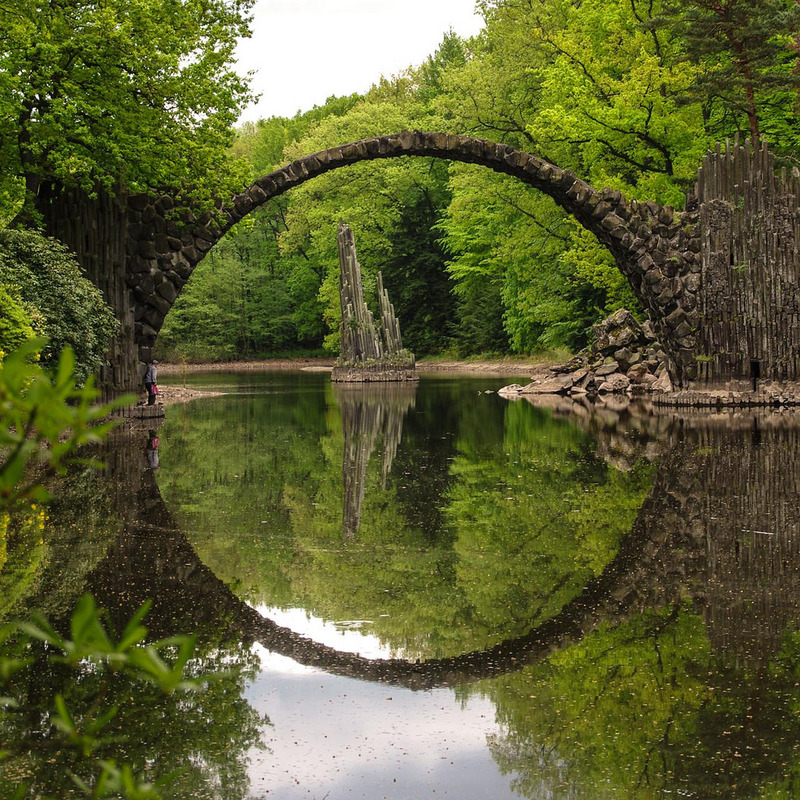 Because of the unique construction accuracy, the bridge and its reflection merge into a perfect circle, regardless of the point of observation. This extraordinary sight is beloved spot of the professional photographers. The optical effect of the bridge is charmful. Wow wow wow!! 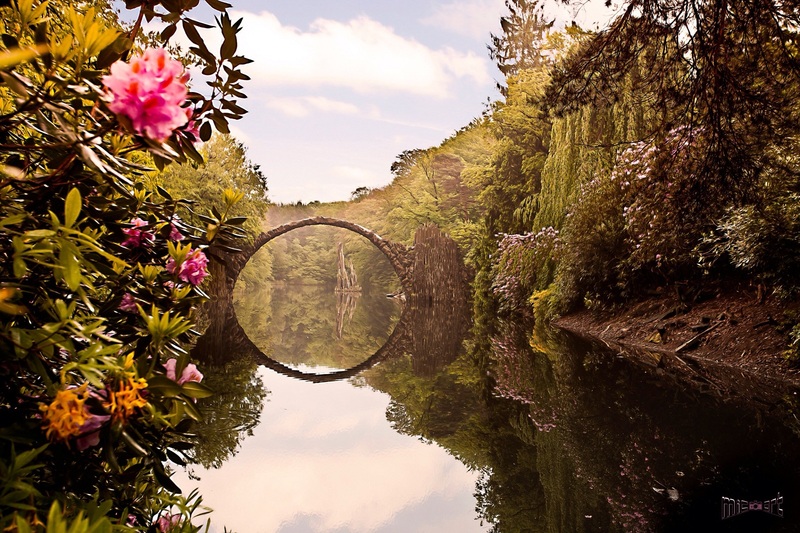 This is possibly the most beautiful bridge in the world, and so simple. I Love it! Such beautiful and inspirational scenery for a photoshoot. Thanks for sharing! What a scenic beauty . An awesome amalagation of nature and human creation!